Certain stones cut en cabochon, have a tendency to display a band of reflected light. It occurs mainly due to the interplay of light with the needle like inclusions within the stone or with minute hollow tubular channels running parallel to each other within the gemstone. When a light source is directed at the gemstone, the band of light is visible across the top of the cabochon (a cabochon is nothing but any gem that has been cut, resulting in a polished, domed surface). This cat’s eye like effect where a silky band of light is displayed at right angles to the inclusions is known as chatoyancy and the stones displaying this effect are known as chatoyant. The word chatoyant has been derived from the French term oeil de chat meaning the ‘eye of the cat’. Stones that are known to display this optical phenomenon are chrysoberyl, emerald, aquamarine, apatite, tourmaline, chrome diopside, scapolite among others. The chatoyancy in gemstone chrysoberyl is so prominent that the term cat’s eye has come to be used exclusively for it. So it should be understood that cat’s eye is not a gemstone per se but the name of a phenomenon. However people in the trade have accorded the name ‘cats eye’ solely to chrysoberyl due to its amazingly striking resemblance to a real feline eye. This particular optical phenomenon enhances the attraction as well as value of the gemstone. Gemstones other than chrysoberyl displaying chatoyancy need to however use a qualifier word for purpose of description. For instance, ‘cats eye tourmaline’, ‘cats eye quartz’ etc. Cat’s eye used singularly (another name for it is cymophane) by itself signifies chrysoberyl. Chatoyancy is observed in varying forms. First is the regular band of light that distinctly stretches across the stone. Second is the ‘opening and closing effect’ where there are two bands visible across the stone (especially when the gemstone is rotated under two lights) giving the opening and closing effect. The Hindu shastras describe the cats eye stone as vaidurya (that of the vidura or brahman, the learned one) where the bands are to the stone, what a brahmasutra (janeoo, or sacred thread worn across the shoulder) is to the brahman. Lastly the stone may display two separate colors. Symmetrically split one half may display body color of the gemstone and the other half may display cloudy/ milky color. This is known as the milk and honey effect. The ancient Egyptian’s who are known to have revered cats had a special leaning towards the gemstone. This stone has been found in the tombs along with other precious objects. The priests in ancient Egypt also had the cat’s eye embedded in the ‘systrum’, an instrument used to perform religious rituals for goddess Isis. There is lore about the Pharaoh possessing a cat’s eye ring. If the pharaoh observed ‘blinking’ in the ring, it signified displeasure of the Gods and sacrifices had to be made for appeasing them. A good cat’s eye must have a distinct band running through the center of the cabochon. The band running through the center must be gray or white in color. It should not be the same color as the body color of the gemstone. Any other attention distracting flaws should not be there. The stone should be translucent. Chrysoberyl is the third hardest gem rating 8.5 on Moh’s scale. Chrysoberyl is basically aluminum oxide containing beryllium. The most intense chatoyant effect is seen in cymophane in the chrysoberyl family. Chrysoberyl is found in Brazil, Sri Lanka and Tanzania. Alexandrite, a rare color changing gemstone also belongs to the chrysoberyl family. It appears green in the normal daylight and appears red under the incandescent light. This phenomenon is attributed to the rare geological conditions during its formation – presence of chromium oxide (which gives it the color changing ability) and the absence of silica (which is actually a rarity as silica is the second most abundant material on the earth). 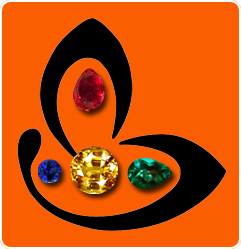 In Vedic astrology the cat’s eye is regarded as the gemstone of Planet Ketu. Cat’s eye is available in colors varying from yellow to honey colored to lime green. Greenish golden stone is known as kanak Ketu and the smoky gray is known as the Dhumra Ketu. It is interesting to note here that Ketu is known as the Dervish among the nine planets. He is south node of the moon. Ketu is basically a karmic planet and is known to throw challenges for individuals in order for them to imbibe important lessons. 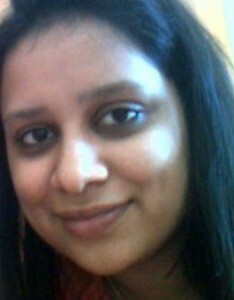 It is a planet that leads to spiritual ascension after material obsessions have disillusioned the individual. 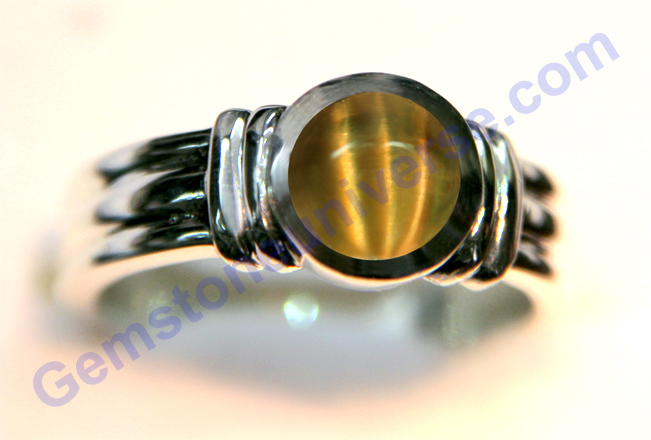 Cat’s eye is worn as a gem remedy to gain good results in the period of Ketu. Cat’s eye however is said to give fast result and therefore must be tried after analysis of the individual’s horoscope for suitability. 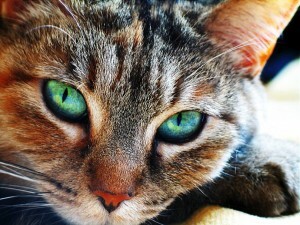 In the practice of crystal healing Cats eye is believed to sharpen the intuition and powers of perception. I have a pair of high domed cabochons that I have been trying to identify. They have an incredible chatoyance that has the pattern of a spiral galaxy. The stone itself is a soft fawn brown, but the light play varies from pink, to cream colored, to pale peach. 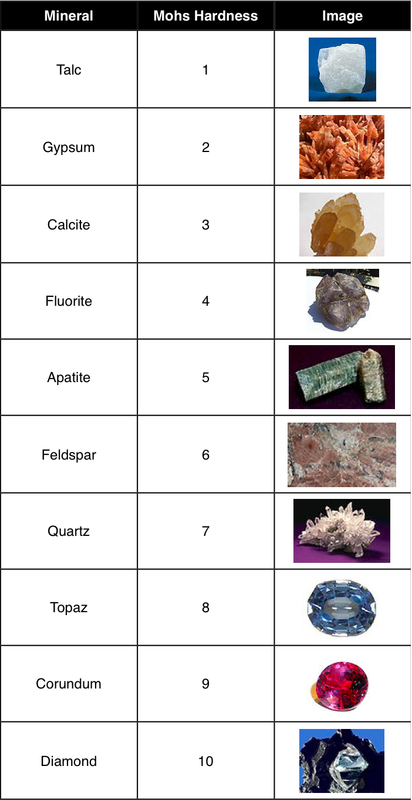 I know that you cannot say with certainty without the gem in hand for testing, but if I sent a picture, could you possibly help to give me an idea if these are natural stones or man-made. Sure you can scan across the pictures and then we shall be able to give you an input.